Conscious Capitalism - Banking and the role of religion. Image courtesy of Shutterstock. At the January 2010 World Economic Forum Annual Meeting in Davos, the erudite and prolific Sharia scholar, Muhammad Taqi Usmani, was invited to present a paper with a somewhat radical theme: reforming the world’s post-crisis financial landscape through the lens of religion. The paper generated little interest from the world’s media, which preferred instead to focus on the forum’s lack of reform plans and the predictably defensive stance taken by bankers. Had they read the 37-page document, though, they might have concluded that “caring capitalism” had the potential to be more than a mere romantic notion. Usmani’s paper proved inspirational for introspective Islamic bankers searching for direction. It questioned the very nature of money, inviting a radical philosophical shake-up of their ordered universe. Perhaps few in the audience (if any) were moved that day to tweak their banking practices, but they nonetheless came away with the counsel that social awareness ought to be the underpinning of finance. When newspapers announce the launch of new Sharia-compliant financial products or institutions, it is often assumed that they are only referring to products that conform with Islam’s ban on interest, as if that were the only relevant criterion and a bank’s only job to make loans. Perhaps as a direct consequence, there are even Muslims who find the modern practice of Islamic banks abhorrent and little different to the practice of conventional banks. Their reasoning is that if Islam prohibits the receipt or payment of interest, then the only business that Islamic banks should be engaging in is interest-free lending, conveniently ignoring the fact that an interest-free loan is construed as an act of charity in Islamic law, and no enterprise driven by the profit motive can be predicated on charity. Indeed, bank profit is emotive subject for Muslims, particularly when set in the context of a world economy creaking ominously under the weight of capitalism. To what extent is the pursuit of profit acceptable in Islam, if at all? How is one allowed to make profit in a halal (permissible) manner? How are Islamic financial institutions allowed to deploy and invest capital to be profitable in a manner that is compliant with Islamic law? To answer these questions, one must address the nature of money itself. In the space of a few minutes, the prophet reminded his followers for the last time that human rights and property rights were paramount—that justice and fairness should be a driving force in their daily lives. And that they now had a complete framework from which to build a new world, irrespective of whatever the curiosity and ingenuity of the human mind would discover or create. Muhammad's companions, and the men who would come a generation after them, would turn out to be the codifiers of God’s law, particularly in the field of commercial transactions, and their legal analysis would prove to be the lubricant for the advancement of human knowledge, rather than an insurmountable barrier of dogma and intolerance that many today have come to regard as the attributes of religion. Arab and Persian merchants went on to forge trade links to India and the Far East, becoming indispensable in the chain of trade between East and West. Arab merchants from Baghdad could travel to Cordoba, Spain, taking with them a letter of credit—a suftaja—to be cashed on arrival by an agent, part of a network of money transfer that came to be known as hawala. The hawala would go on to influence the development of the agency concept in common and civil laws throughout Europe. The sakk—a forerunner of our modern-day check—allowed early bankers to become indispensable to every trader as a guarantor of paper money at markets in cities throughout the Islamic world. Muslim traders would share the profits of their ventures with their sponsors through investment partnerships now referred to as musharaka and mudaraba. An exchange economy became the framework for Islamic merchant capitalism. While Europeans were venturing little further south and east than the islands of Greece, Arab and Persian traders were ranging across continents. By the tenth and eleventh centuries, ultra high net worth merchant families began to dominate commercial activities between the two cultures. In the major cities along the East/West trade route, the funduq (trading exchange) was established and run by leading merchant families within their region. Funduqs developed into commodity exchanges and warehouses, and the great wealth accumulated by the families who controlled these exchanges enabled them to finance state projects and operate an early form of banking institution, taking in deposits and advancing credit to customers. Within a few centuries, Crusaders would encounter Arabian merchants and carry their new-fangled ideas—such as the trust law encapsulated in the Waqf and the agency concept intrinsic to the hawala—back to the Mediterranean. Not only would the techniques of commerce and finance filter through to medieval Europe, but also an entrepreneurial spirit of enterprise that had, to date, been less widespread in Europe. Ironically, given the negative connotation that capitalism has today—with all its implications of greed and selfishness—it was the Islamic world that institutionalized capitalism and brought it to the West in the form which with we are now familiar. Somewhere along the way, though, the Islamic capitalism that afforded protection to the weak and the needy became diluted. 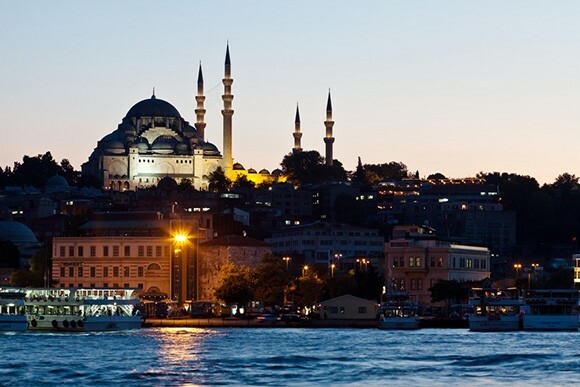 By the time the Ottomans became the pre-eminent Muslim power at the end of the fifteenth century, their approach to financial and monetary institutions dispensed with customs, traditions, and religious guidance. Earlier banking systems such as thehawala method of money transfer were still widely in use, and the 100,000 pilgrims traveling annually to Makkah continued to make use of the suftaja bill of exchange in order to draw money at their journey’s end. Court records of Anatolian cities, however, show that interest-based lending was a frequent and apparently tolerated practice. As European moneylenders ascended in prominence, Ottoman practices eventually fell into line. It would not be until the mid-twentieth century that Islamic finance would reassert its identity. IS MONEY A COMMODITY IN ITSELF? A crucial difference between Islamic finance and Western-style banking can be found in the way each system perceives the worth—and role—of money. According to Sharia principles, money is merely a means to achieve an objective and not the objective itself. In itself, money has no intrinsic value: It cannot be eaten, processed to build a house, woven into clothes, nor provide heat or shelter. It cannot be created out of itself, and it cannot be created from thin air. It is merely a store of value. At a stroke, we immediately come into conflict with the modern notion of money as a commodity. Today, central banks are printing money through quantitative easing. Put simply, they create money. Financial institutions then enter into phantasmagoric trades with corporations, individuals, and each other to lend money and receive more in return. Banks enter into “contracts for differences,” also known as “swaps,” where one party swaps one cash flow for another. Financial institutions sell highly complex, intangible instruments whose values are derived from other assets and to which they may not themselves have legal title. They take speculative positions on the outcome of events over which the buyer of the instrument may not have an intrinsic interest. In all of these transactions, value has apparently been created even where a real economy transaction has not taken place. If individuals cannot earn money from money by depositing it into an interest-bearing bank account, they will be forced to put it to work. Hoarding money would defeat its purpose. In Islamic finance, institutions must enter into trades in the real economy, investing and developing businesses so that investors’ money is to work in a tangible way. When these investments come to fruition, investors share in the spoils alongside the bank and fund manager. Money is not made simply through the banks' accrual of capital—it is made through sound investments that yield real-world value for their investors. This is the conventional understanding of Sharia-compliant banking: banking without interest. Interest on money becomes an injustice because money is required to exist for another purpose, a purpose that the modern financial system appears to have bypassed, injecting into it anabolic steroids and juicing it up on 12,000 volts. The twelfth-century Islamic theologian and thinker Abu Hamid Muhammad ibn Muhammad Ghazali analyzed the nature of money, stating that Allah had created dirhams and dinars “so that they may be circulated between hands and act as a fair judge between different commodities and work as a medium to acquire other things.” He concluded that “whoever effects the transactions of money is, in fact, discarding the blessings of Allah, and is committing injustice, because money is created for some other things, not for itself. So the one who has started trading in money itself has made it an objective, contrary to the original wisdom behind its creation, because it is an injustice to use money other than what it was created for.” Ghazali had not reached this view in isolation. Indeed Aristotle had argued over a millennium earlier that gold and silver had no intrinsic value, an argument that Ghazali would uphold and build upon many centuries later. If one is prohibited from trading money, then one cannot create money out of money, and therefore cannot lend at interest. This religious injunction was not unique to Islam alone. Five thousand years ago, elaborate systems arose to enable early agrarian societies to buy and sell goods and services on credit, since coinage had not been invented. So a farmer buying clothes from a merchant might pay with an IOU. If the merchant then decides he needs to fix the door on his house, he gives the IOU to a carpenter. The carpenter accepts, on the basis that the farmer’s standing in the community is good and he’ll make good his debts. Eventually, after a series of transactions within the community, the farmer buys goods or services from a party who holds his IOU and pays it back with some crop from his harvest. The IOU doesn’t even need to come full circle. It can stay in circulation forever, acting in the same manner as modern money. Money originates as debt. When the community becomes large and powerful it gains the ability, as anthropologist David Graeber argues, to conquer and enslave neighboring peoples. Now human beings are reduced to mere inventory, material commodities to be traded. Early civilizations held surplus commodities in temples, and these commodities were lent out to merchants to transport for trade. Auditing the profits and losses made by merchants would have been impossible for the temples, so instead of taking a stake in the merchants’ trading activities, the temples would have demanded a fixed rate of return—in other words, interest. As loan contracts became more prevalent, they became more elaborate: merchants demanded collateral against debt, starting with grain, livestock and household goods; but if the debtor was still unable to pay and their collateral was insufficient to redeem the outstanding principal, they would then have to offer up themselves, their children, or their wives as debt peons—bonded laborers until the debt was repaid. Owning a human being became debt’s most egregious manifestation. Slaves were no longer just war booty: Now they could be anyone. Debt could be passed from generation to generation and violent coercion became the primary enforcement mechanism. In years of bad harvests in Mesopotamia, the poor became increasingly indebted to rich neighbors and would start losing title to their fields, becoming at first tenants, then sending their children to become bonded servants to creditors’ households, then finally enslaved and sold abroad. Slaves who escaped their bonds would join nomadic pastoralist tribes. Once these tribes had grown large and powerful enough, they might return to overrun the cities and conquer their existing rulers, and the cycle would repeat itself. Intellectual movements questioned the morality of materialism throughout the ages, casting doubt on the necessity of violence and conquest to uphold the economic system. Religion came to play an important role in galvanizing opinion against materialism, debt and usury. Throughout the Bible, numerous injunctions can be found against usury, and early Christian universities debated as to why it was sinful: it was theft of material possessions, or a theft of time, or an embodiment of the sin of Sloth. Yet in time, the Church found itself looking the other way as moneylenders found they might exploit semantic differences between “interest” and “usury,” the latter being considered a severe and oppressive form of mere interest. Islamic law, meanwhile, remained unwavering on the issue of usury, treating money as a means to an end, not the end itself. The requirement for certainty and transparency in any commercial transaction leads us to another characteristic of Sharia-compliant transactions: that one may not sell a debt or cash flow. Without full control on the goods being sold, sellers enter into trades that create uncertainty for both parties. If a seller owns debts that are payable to him from his obligors, it is not a certainty that those debts will in fact be repaid. By selling such debts to another party, the risk of default is also being transferred to that buyer. The buyer will lose a portion of the money paid to the original seller should one or more obligors fail to repay their obligations. In Islamic jurisprudence this uncertainty is considered a fundamentally unjust transaction. Even if both parties have mutually agreed to the terms of that sale a debt, its transaction is still not halal. The sale of narcotics may be by mutual consent but that does not make it permissible. Bribery may be by mutual consent, but does not benefit the interests of society at large. If a transaction either fails to meet the interests of both parties, or has harmful social implications (that is, it is unethical in the secular vernacular), it may not be consummated. And in Islamic law, interest is considered harmful to society. For ancient and contemporary scholars of Islamic finance, capital must be deployed in other ways to generate a permissible profit. According to scholars, the equitable way of utilizing the savings of depositors is to deliver to them a proportionate share in the profits—and losses—in investments undertaken on their behalf. This may be a shock to today’s depositors, accustomed as they are to unexciting and secure returns on their deposits. In the context of the modern banking system, depositors might need to make a giant leap of faith in order to consider placing their principal in an institution whose business model seems primarily equity based rather than debt based. But that is just the point: An economic system should be based on the concept of risk sharing, equity, and with sufficient diversification and tranching of deposits so that depositors can specify the level of risk they are prepared to accept. Perhaps the Islamic banking model need not be at an economic disadvantage to the conventional model, provided that a critical mass of depositors and business enterprises participate. This is exactly what the Egyptian, Malaysian, and Pakistani experiments of the last few decades have tried to achieve with varying degrees of success. Their challenge was to deliver lasting value within the framework of the fractional reserve banking system—one that stands at odds with the concept of Islamic banking itself. From Heaven's Bankers by Harris Irfan. Copyright ​© 2014 by Harris Irfan. Published in 2015 by The Overlook Press, Peter Mayer Publishers, Inc. www.overlookpress.com. All rights reserved.